This newly released Hubble image shows galaxy UGC 12591, which is located roughly 400 million light-years away. 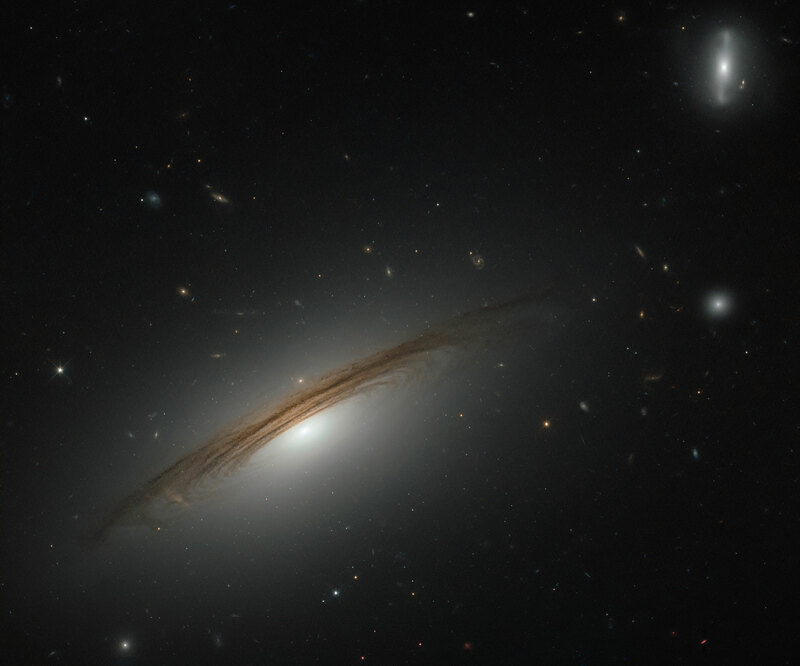 This NASA/ESA Hubble Space Telescope image showcases the remarkable galaxy UGC 12591. 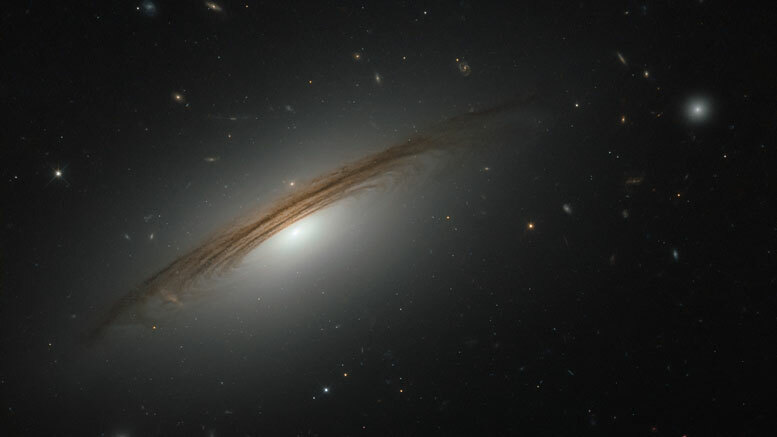 Classified as an S0/Sa galaxy, UGC 12591 sits somewhere between a lenticular and a spiral. It lies just under 400 million light-years away from us in the westernmost region of the Pisces–Perseus Supercluster, a long chain of galaxy clusters that stretches out for hundreds of light-years — one of the largest known structures in the cosmos. The galaxy itself is also extraordinary: it is incredibly massive. The galaxy and its halo together contain several hundred billion times the mass of the Sun; four times the mass of the Milky Way. It also whirls round extremely quickly, rotating at speeds of up to 1.8 million kilometres per hour! Observations with Hubble are helping astronomers to understand the mass of UGC 1259, and to determine whether the galaxy simply formed and grew slowly over time, or whether it might have grown unusually massive by colliding and merging with another large galaxy at some point in its past. 1 Comment on "Hubble Image of the Week – S0/Sa Galaxy UGC 12591"
There are some very complicated issues of galaxy formation. Unfortunately, here is the same problem as with the stars. The origin of galaxies remains unclear, in spite of huge activity in the field. What the “formation” means? It means that we have the material that is assembling into galaxies.